Although it is still raining in Oregon, I'm learning to slowly embrace it -- even though all my friends in Virginia are enjoying 75 degrees and sunshine. Over the past couple of months I have been experiencing a high amount of gut issues, mainly IBS. I have had to cut out foods I have always been able to eat, and having worse flare ups on foods that did not really hurt me before. I have tried a new diet: Low FODMAP. Want more information of FODMAP? 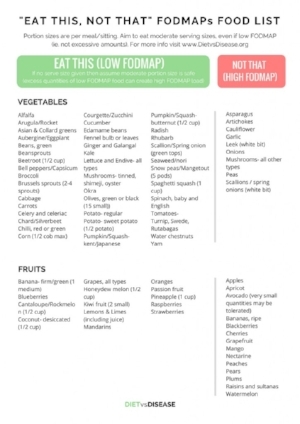 I've been searching for a lot of different low fodmap recipes, mainly for myself but also to share with other people that may be experiencing some similar issues. Add oil and garlic to a medium-high skillet. Toss in spinach and let cookIn the meantime, boil a pot of water. Add a pinch of salt, then add in pasta when boiled (I used gluten free pasta)Once pasta is finished, quickly add to skillet and add in ricotta. Give it a stir then top it off with walnuts; serve your dish! Enjoy this tasty pasta without all of the symptoms that come with a creamy pasta + enjoy pasta night again!